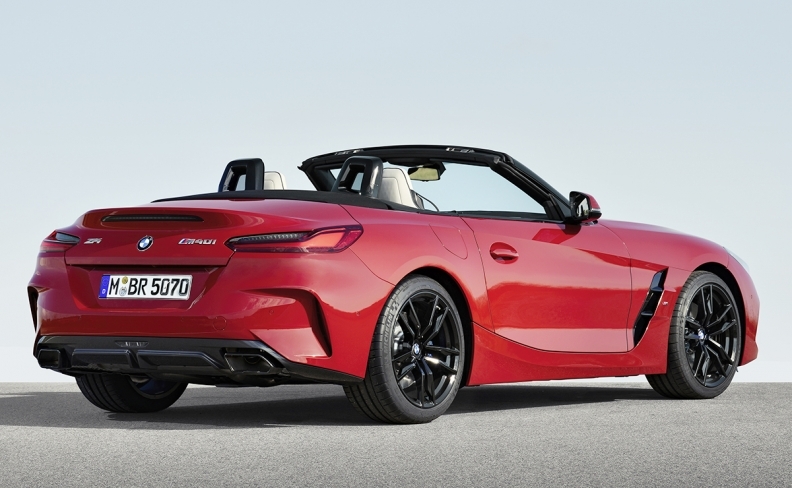 The BMW Z4 M40i First Edition will sport an electrically operated fabric soft top, a change from the last Z4's retractable hardtop. It also features black exterior mirror caps and two-tone 19-inch light alloy wheels. 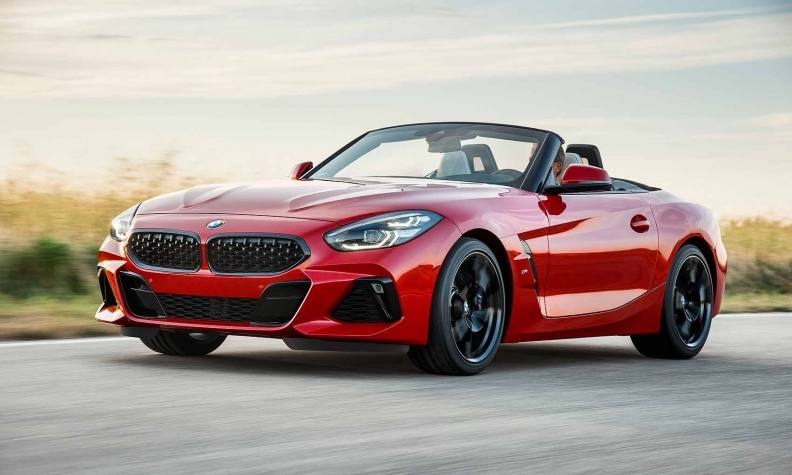 BMW is returning into the roadster market with the revival of the Z4 -- a car whose predecessor helped to spark a renaissance in small sporty coupes and burnished the brand's driving bona fides with the Z1, and later the Z3, in the 1990s. Cars may be going out of style in favor of SUVs and crossovers with today's new-vehicle shoppers, but BMW and some automakers are convinced roadsters can still deliver some brand sizzle in the showroom -- even at lower volumes. BMW is hedging its bet with the newest Z4. Rather than going it alone, the Z4 shares a platform with Toyota's revived Supra sports car to keep engineering and development costs in check. BMW took the lead in the creation of the common platform under a joint agreement signed in 2012. The automaker unwrapped the limited special edition Z4 M40i First Edition roadster on Thursday in Pebble Beach, California. It was previewed as a concept a year ago in Pebble Beach. Powered by a 340 hp, straight six-cylinder engine, it will accelerate from 0 to 100 kph (62 mph) in 4.6 seconds. Also available is a BMW M tuned sports suspension with electronically controlled dampers, M Sport braking system and an electronically controlled M Sport rear differential. BMW said it will announce details of further engine variants, technical innovations and equipment on Sept. 19. This will be followed its trade fair debut at the Paris auto show in October. The Z4 has its worldwide market launch next spring, BMW said. The Z4 M40i First Edition will have an electrically operated fabric soft top, a change from the last Z4's retractable hardtop. It also features black exterior mirror caps and two-tone 19-inch light alloy wheels. The interior contains a Harman Kardon surround sound system, adaptive LED headlights and a head-up display. BMW discontinued production of the Z4 in 2016, ending a 14-year run. The previous-generation Z4 had been built since 2009, while the first-generation model took over for the Z3 in 2003. With the Mazda Miata, the Z3 helped spark a renaissance in roadsters. The original Z3 was followed by the Mercedes SLK and Porsche Boxster. The latest brands to enter the segment include Subaru with the BRZ, Toyota with the 86 and Fiat with the Spider. Meanwhile, other brands such as Cadillac and Honda have exited the segment. While Toyota has unveiled the racing version of the Supra, it's unclear when the production Supra will be introduced, though Toyota says it will share more information about the car in the fourth quarter.